A man died at his home in Stafford while a woman had a lucky escape from her blazing bungalow. Smokers are being urged to take extra care at home after a man died in one of three house fires caused by cigarettes in three days. 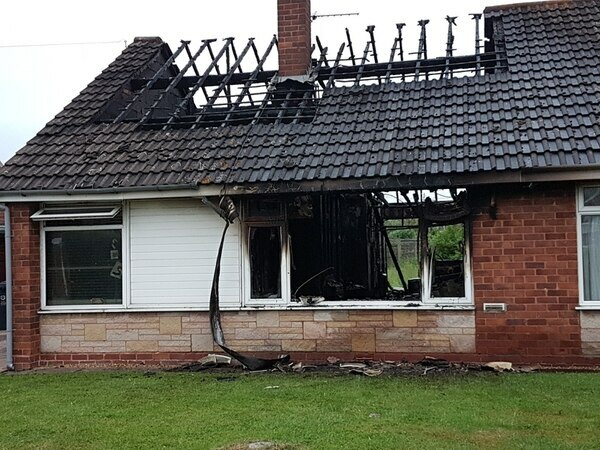 The warning from Staffordshire Fire and Rescue Services comes after a Penkridge woman had a lucky escape from her burning bungalow yesterday. The home was completely destroyed by the blaze, which started in the kitchen and was caused by a discarded cigarette. Crews were called to Orchard Crescent just after 5.45pm and found the 59-year-old woman had escaped into her back garden where she was being helped by neighbours. Firefighters from Cannock, Stafford, Penkridge and Fallings Park rushed to the scene and wore six breathing apparatus and used two hose reel jets and a main jet to extinguish the fire. The aerial ladder platform from Longton also attended to remove unsafe roof tiles. The woman suffered smoke inhalation and was given oxygen therapy by paramedics at the scene before being take to Stafford's County Hospital where she remains in a stable condition. The adjoining bungalow was also affected by the smoke. 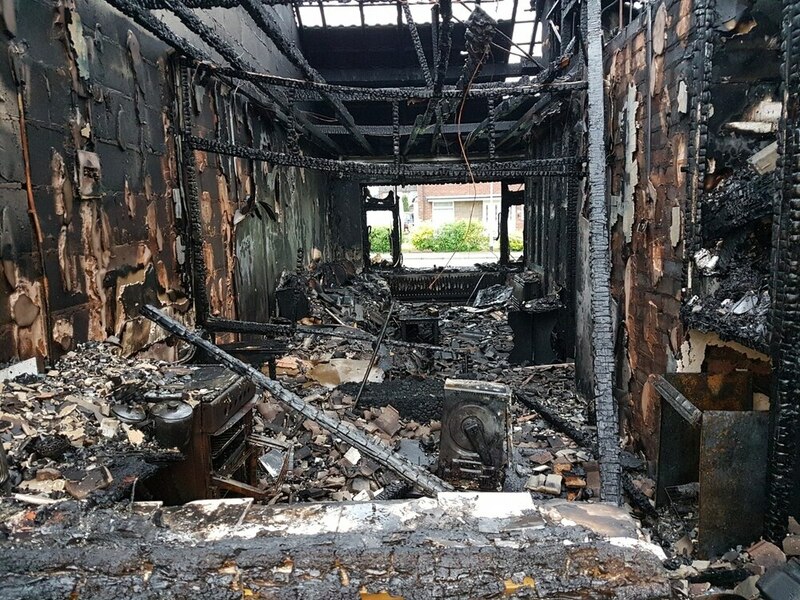 This incident happened just two days after a man died at his home in Stafford in a blaze fire crews said was caused by careless cigarette disposal. Firefighters brought the man outside after the fire started in his living room but he was pronounced dead at the scene. 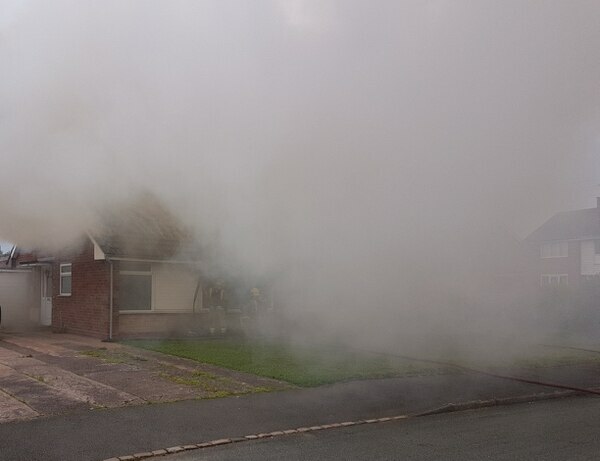 Meanwhile, later on Saturday, firefighters responded to another incident in Abbey Hulton, Stoke-on-Trent, where another serious blaze started because of 'smoking materials'. The service is therefore reminding residents about the SAME campaign which highlights the four factors that greatly increase the likelihood of dying in a house fire. These are smoking, alcohol, mobility issues and being elderly. In the last 10 years (2007 to 2017) research has shown that cigarettes, cigars and lighters have been the biggest cause of fires in which people have died, with 41 per cent of those who died being smokers. Fire investigation officer Tim Hollingworth said the woman was lucky to have escaped the Penkridge bungalow blaze unharmed. 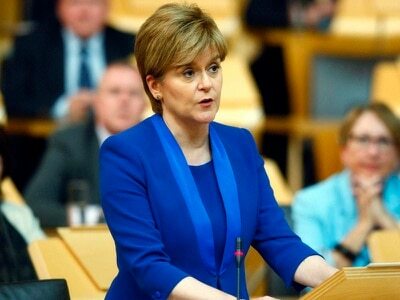 “This was a very severe fire which has completely destroyed the bungalow," he added. “If you are a smoker please ensure you dispose of cigarettes/cigars correctly in an appropriate ashtray and make sure that they are completely out. "It doesn’t take much for a cigarette to ignite soft furnishings so it’s better to avoid smoking in bed or while sitting on the sofa. Also take care not to drop the cigarette or spill ash on carpets. The service’s FREE Community Advice Team can be contacted on 0800 0241 999.